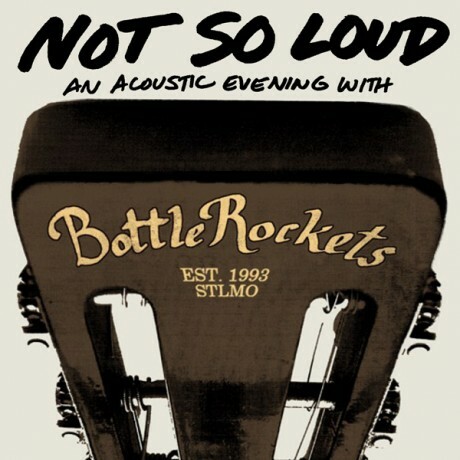 Bottle Rockets Live Acoustic Album! The Rockets re-imagine and re-tool 13 songs from their vaunted catalog, including songs from albums long out of print. Look for it in the summer. “Although it may not be obvious, most Bottle Rockets songs are written on acoustic guitar. Contrary to being identified as a loud rock band, we enjoy the opportunities to perform without amplifiers and electricity. Songwriting is distinctly showcased under those stripped down conditions and requires the songs to sink or swim on their own. And on such occasions, we are always amused by the tangle of cords, plugs, and wires that are still involved with supposedly ‘unplugged’ music. Choosing the right venue is important to the success of any show, and the Lucas School House in St. Louis was our correct choice for two sold out shows. Located on the edge of the historic Soulard neighborhood, the venue was formerly a one-room school built in 1898. The small, second floor gymnasium had been renovated into a concert hall with a beautiful wooden interior, stained glass, plush leather seating and state-of-the-art sound system. Serving as an ideal listening room during its short life, any performance in that space was an intimate music experience. Next: Cotton Jones on Tour!